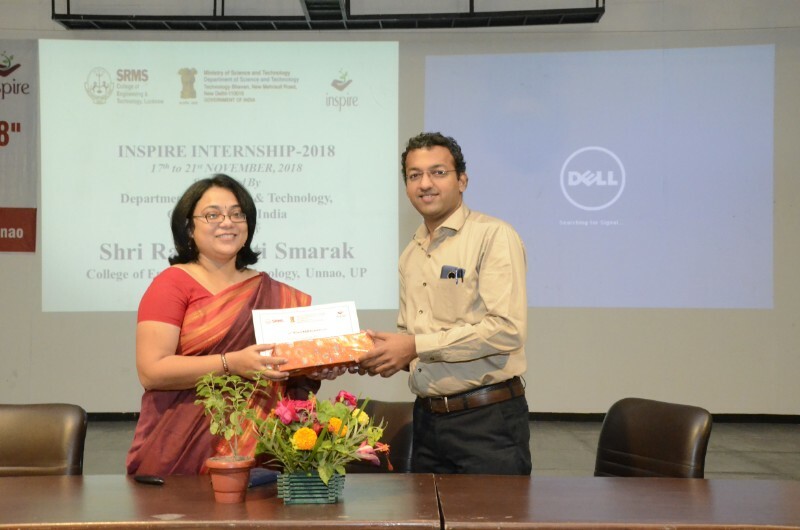 The 8th INSPIRE (Innovation in Science Pursuit for Inspired Research) Internship Camp at Shri Ram Murti Smarak College of Engineering & Technology (SRMS CET), Unnao was inaugurated on 17 November 2018. 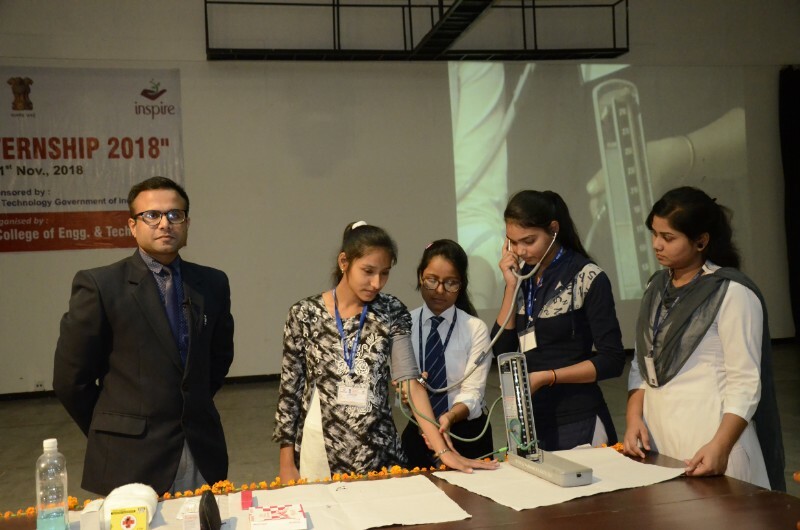 INSPIRE is an innovative programme developed by the Department of Science & Technology (DST) to attract talent to the excitement and study of science at an early age, and to help the country build the required critical resource pool for strengthening and expanding the Science and Technology system and the Research and Development base. 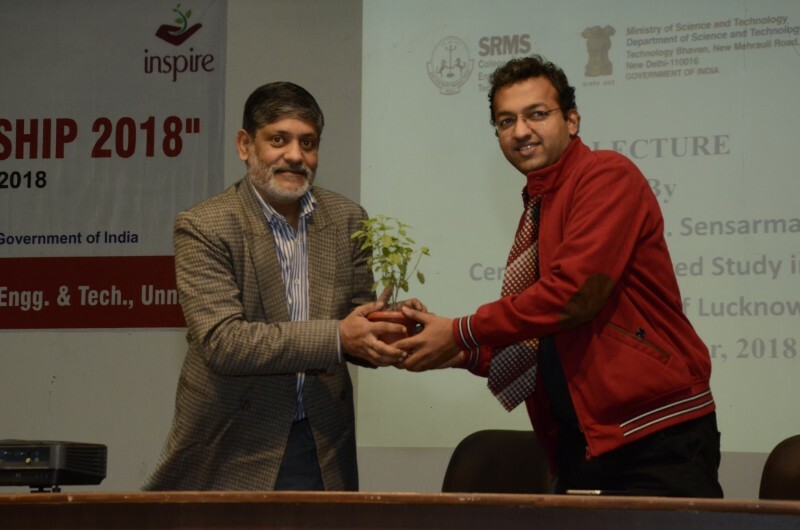 Shri Dev Murti JI (Chairman, SRMS Trust) and Professor Shyamal Gupta (Director, Administration, SRMS CET, Unnao) conveyed their best wishes to the participants. 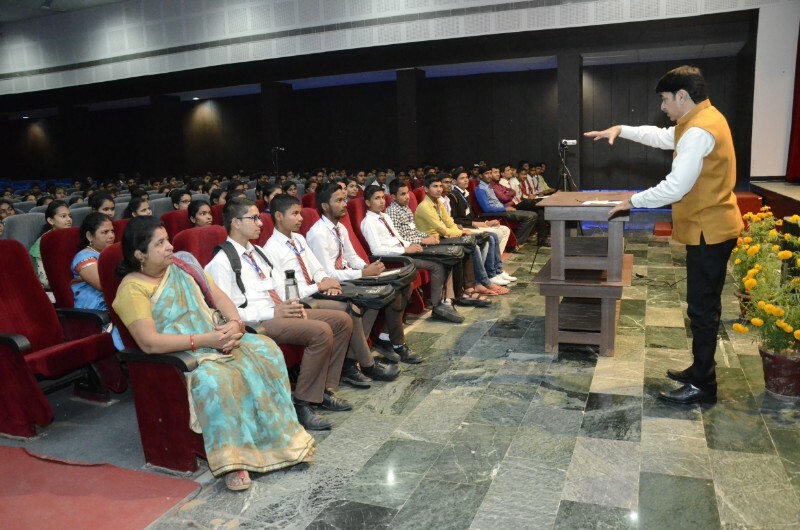 Welcoming the students, Dr Anant Kumar Srivastava (Professor and Principal, Department of Computer Science & Engineering, SRMS CET, Unnao) motivated them to pursue science and research. 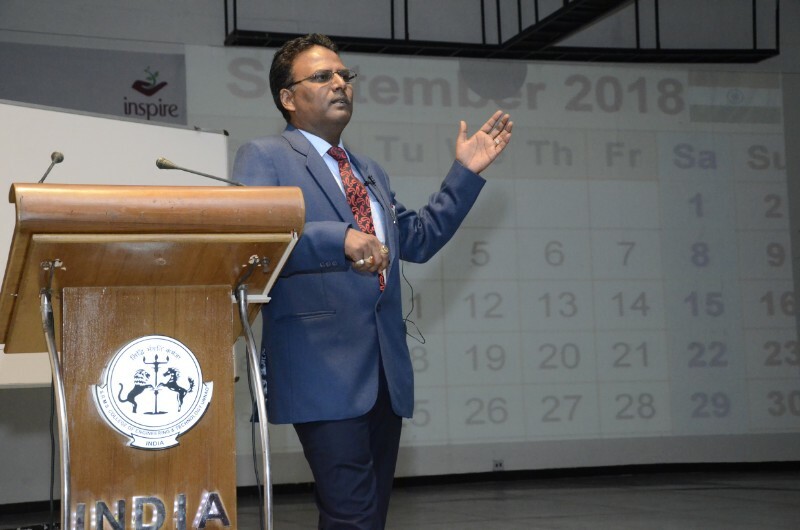 Dr Prabhakar Gupta (Professor and Dean, Academics, Department of Computer Science, SRMS CET, Bareilly) and the Coordinators for INSPIRE, Mr Rateesh Agarwal and Mr Sachin Agarwal, also encouraged the participants. 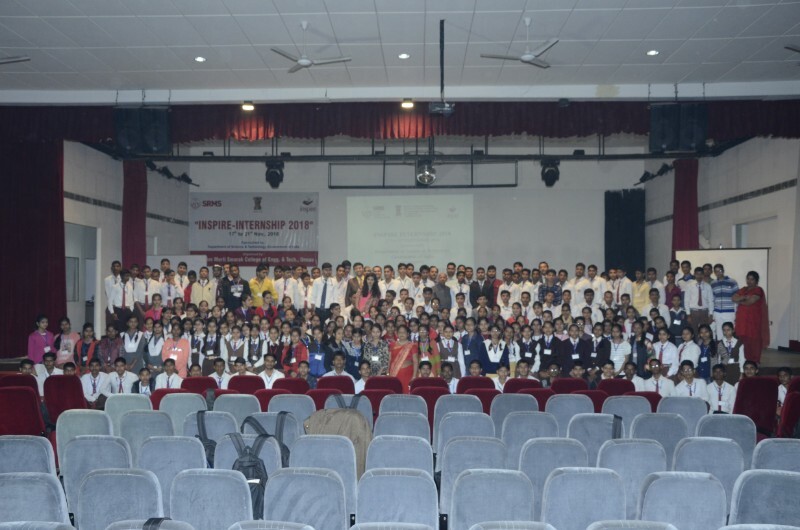 In all 200 meritorious students from different prestigious schools in Uttar Pradesh attended the INSPIRE Internship Camp. During their 5-day (17–21 November) stay at the institute, the participating students received training from well-known scientists and academicians. On Day 1, the first session was led by Dr. Vineeta Tripathi, a renowned Scientist (Enthobotony) from Central Drug Research Institute in Lucknow. 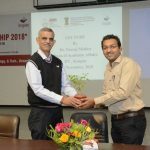 Dr. Tripathi talked about ‘Medicinal Plants’. Speaking about traditional medicinal practices, she highlighted the health benefits of using medicinal plants and herbal medicines. 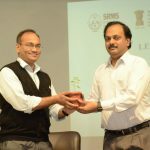 The mentor for the second session was Dr Prabhakar Gupta (Professor and Dean, Academics, Department of Computer Science, SRMS CET, Bareilly). 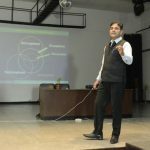 Dr Gupta spoke on ‘Need and Applications of Mathematics’. Discussing important aspects of the history and development of Mathematics, he presented various historical mathematical problems and their solutions. The mentor for the first session on Day 2 was Dr. Geetanjali Mishra, a renowned Professor from the Department of Zoology at University of Lucknow. Dr. Mishra’s talk focused on the differences between basic and applied Zoology. She also explained the wonderful world of insect ecology and insect behaviour. Speaking about the interesting field of Zoology, she encouraged the attending students to pursue a career in the discipline. 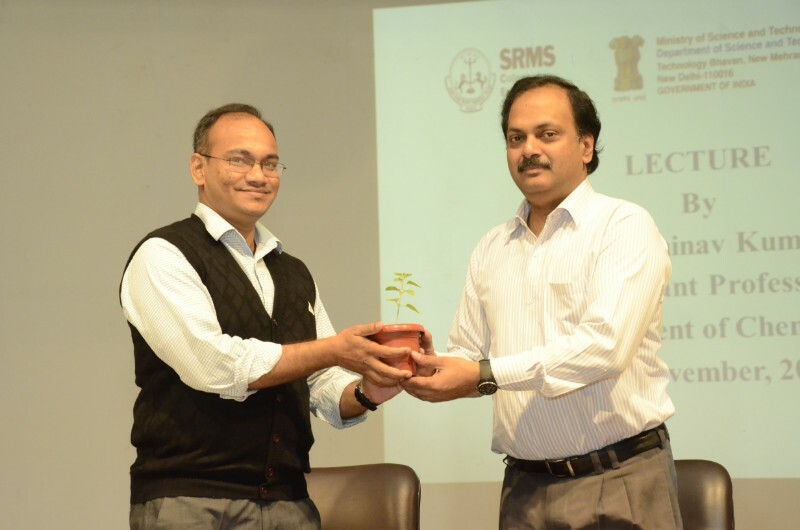 The second session was led by Professor Neeraj Mishra, a renowned Professor of Mathematics from IIT Kanpur. 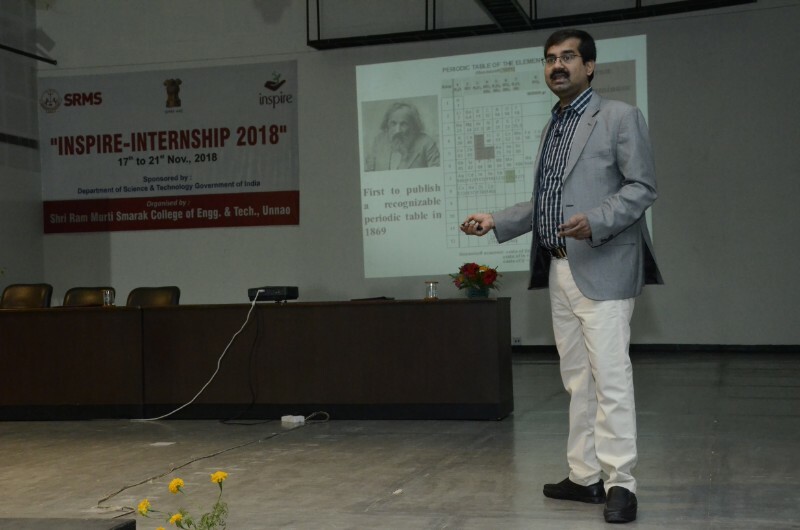 Professor Mishra’s talk highlighted the unique world of prime numbers. He also discussed Number Theory and addressed diverse topics including factors, prime numbers, and odd prime numbers. 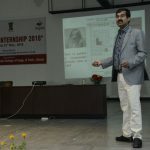 On Day 3, Professor Sanjay Sharma, a renowned Professor of Physical Sciences from DBS (PG) College in Kanpur, was the mentor for the first session. 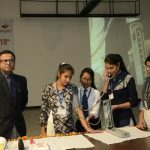 Using demonstrations and hands-on experiments, Professor Sharma presented various universal facts and concepts of Physics. 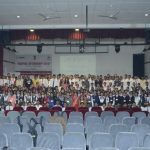 Capturing the imagination of the young minds by asking various application oriented questions related to Physics, he inspired the participants to seriously study the new inventions that are changing the way we know our world. The mentor for the second session was Professor Dhruv Sen, a renowned Professor from the Earth Science Department at University of Lucknow. 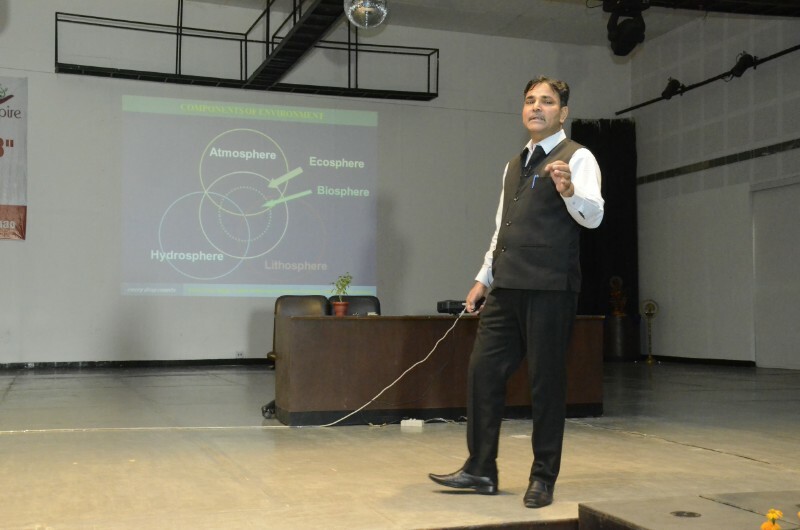 Professor Sen spoke on ‘Environment and Ecology’. Presenting knowledgeable facts about environment and ecology and discussing our responsibilities towards our planet, he explained the complex issues around climate change and the greenhouse effect. He motivated students to study and conduct research without losing sight of sustainable development in order to conserve our earth for future generations. On Day 4, the mentor for the first session was Professor Laxmi Kant Sharma, a member of National Academy and Council for Science and Technology, Uttar Pradesh and a Senior Resource Person with Centre for Development of Physics at University of Jaipur. 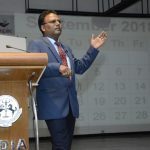 Professor Sharma’s talk focused on the fundamentals of success. He shared how one can succeed in life by following the five fundamentals of success: Imagination, Creation, Knowledge, Skill, and Action. 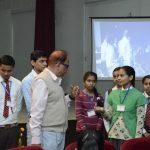 Dr. S. Sensarma, a renowned Professor from the Department of Geology at University of Lucknow, was the mentor for the second session. Engaged in teaching and research combining petrography / microstructure and mineralogical / geochemical studies of rocks for more than 28 years, Dr. Sensarma shared interesting facts regarding the structure of different types of rocks. On Day 5, Professor Abhinav Kumar, a renowned Professor from the Department of Chemistry at University of Lucknow, led the first session. 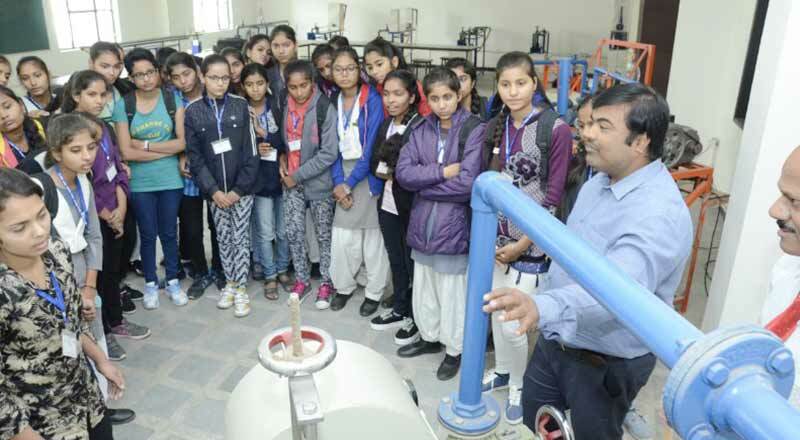 Discussing ‘Chemistry and its Application in Daily Life’, Professor Kumar shared interesting facts of Chemistry using live practical demonstrations. The mentor for the second session was Professor S.P. Rath, a renowned Professor from the Department of Chemistry at IIT Kanpur. Professor Rath spoke about the processes involved in photosynthesis and nitrogen fixation, and underlined the diseases caused by the deficiency of chemical substances. In his engaging style, he also talked about the chemical and physical properties of elements and the Periodic Table. For the INSPIRE interns, Laboratory Sessions were organized at the Mechanical, Physics, Chemistry, Electronics, and Computer laboratories and the Engineering workshop. Alongside activities linked to sports and movies on science topics, there were different cultural programmes involving singing, dancing, and poetry writing, among others. 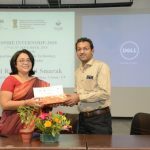 In order to encourage the articulation of unique technical ideas, an innovative idea competition was specially organized for students. 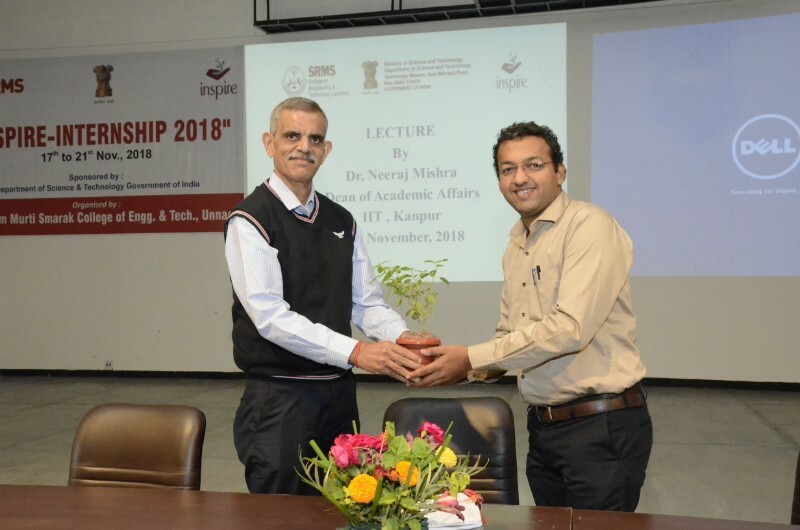 The valedictory ceremony of INSPIRE Internship Camp was held on 21 November 2018 in the presence of Dr. Anant Kumar Srivastava (Professor and Principal, Department of Computer Science & Engineering, SRMS CET, Unnao) and INSPIRE Coordinators Mr Rateesh Agarwal and Mr Sachin Agarwal. 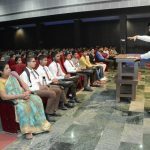 Encouraging students to work hard and fulfil their dreams, Professor Srivastava urged them to always think of the betterment of society. 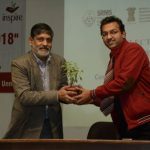 While Mr Sachin Agarwal presented the report on INSPIRE 2018, Mr Rateesh Agarwal wished the participants best of luck in their future endeavours. Gifts, certificates, and prizes were presented to the students at the end of the ceremony.